Most professional trades require continuing education in order to keep a license current. No matter the industry, the internet is a great source of convenient and timely resources for meeting state required continuing education requirements. There are plenty of reputable online educational opportunities for individuals who require the convenience and savings of taking their courses online. Online classes are often much less expensive than attending the same course in a brick and mortar classroom. Online education requires no facility rental, no hourly instructor fees and is a much more convenient solution. Busy professionals can take their required competency courses anytime 24/7 from the comfort of their own home or office. Now is the perfect time to consider giving the gift of education to yourself, family member or a valued employee. Not only will you be giving the gift of education, but any purchase you make before the end of the year can be a tax deduction! 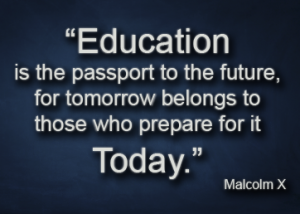 Take advantage of the holiday season by giving the gift of knowledge and adding a stamp to your passport to the future!